We often have career opportunities at our shelter & at our Second Chances Thrift Store. 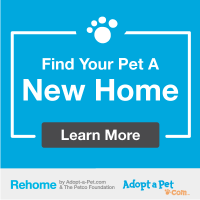 Applications are available at our shelter Monday-Saturday between 12-4 PM on Rouse Rd Extension, Kinston NC, or you can find a printable application HERE. Direct animal care and socialization, monitoring animal health, ensuring animal and visitor safety, cleaning/maintaining kennels, interacting with the public and other agencies in a professional manner, and maintaining animal records (electronic and written). Vet Tech or professional animal care experience preferred. Must have valid driver’s license and reliable transportation. High school education or equivalency and computer experience required. Some weekend work required. Applications available HERE and also at the Lenoir County SPCA shelter M-Sat 12-4 PM.